Check us out at the Antigo Gun Show ~ Antigo Ice Arena ~ April 5th, 6th, & 7th. Say hello at the Waukesha Easter Gun Show ~ Waukesha County Expo Center ~ April 19th & 20th. Scotsman Arms now has complete rifles, complete uppers, complete lowers, stripped lowers, bolt carrier groups and a variety of parts in stock and ready to go. We have upgraded our supply chain so the products and prices on this site are not accurate. Please call or email for up-to-date product information, pricing, and availability. At Scotsman Arms, It's All About You! Our goal is to build you the best quality rifle and/or supply you with the best quality parts for your application and give you the best value for your money. Scotsman Arms buys all its parts from only the highest quality manufacturers; manufacturers like Tactical Machining, Aero Precision, Faxon Firearms, Midwest Industries, Magpul, and Central Missouri Machine Gun (CMMG) in order to provide you with the highest quality custom rifle possible. If you can find a better quality product at a better price, let us know. We will buy their stuff!!! To learn more about what this means, click on the It's All About You! page. Scotsman Arms individually inspects each and every part and hand assembles each rifle, barreled upper, and lower assembly. 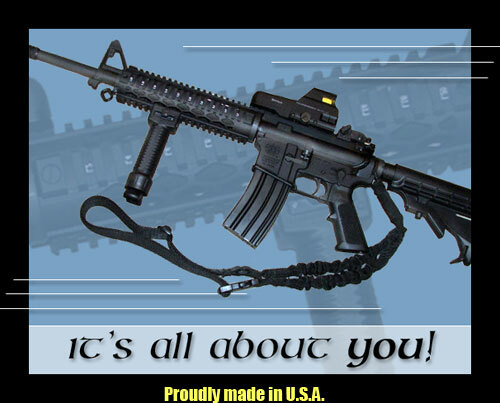 After completion, every rifle, upper assembly, and lower assembly is individually function tested to ensure only the highest accuracy, durability, and reliability are delivered to you! We go the extra mile to make sure you get a product that meets your standards.